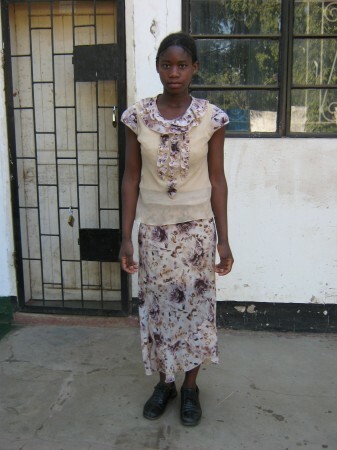 Irene is a double orphan aged 19; she lost her mother 5 years ago and her father 2 years ago. Irene is being kept by her cousin who is disabled; he uses a wheel chair and is unable to do any kind of work. Irene is unable to go to school due to lack of funds, she has been accept at Kalomo high school but she has not yet reported. She is the second born in a family of four, the first born and her two siblings are being kept in Mumbwa by her grandmother.